I've had a pre-paid debit card with them for about 7 years and it's been absolutely perfect. I live in the UK and I've Used it all over Europe and a few times in the USA and it's been flawless for cash withdrawals and purchases. Their customer service is also fantastic. The App is really easy to use too, never had a problem with it. I have used this card for Euro, US Dollar and Krone. Very occasionally an ATM will charge a withdrawal fee, but this is not a Caxton charge. Loading currency is easy on the app and very quickly available to spend and hasn’t delayed me paying for a meal. I Follow Caxton advice not to use the card for a hold charge. Have used the card now across Europe, Asia and Australasia and with the exception of of a couple of refusals at ATMs at some lesser known Chinese banks I've had no issues at all. Have used the card in ATMs in Thailand and Prague. Couldn't use it to buy a G&T on Brussels Airlines though! I already had one alternative travel money card, but wanted to minimisethe risk of loss, or other problems, by getting a second card. All of the travel money comparison sites had Caxton FX as one of the top selections, and the rates offered were very good. So clicking on the link took me to the Caxton site, where great exchange rates rolled along the bottom of the screen.... these were NOT actual market rates, but slightly reduced, so they were definitely purporting to be rates used for card top-ups. Also, supporting quotes about "lock in these great exchange rates" abounded. Following the process through, none of this could be further from the truth. If you follow the links, the actual exchange rate used for top-ups is far different from the one quoted... In fact they were well below those in use by some other cards. I phoned their service centre for some clarification, but all I got was feeble excuses as to how the exchange rates were not up to the minute... This was not plausible, as the rates quoted had not been "market" rates for some weeks. To test my sanity, and to give them the benefit of doubt on this occasion (in case something was wrong with the system, at that time) I have repeated the process on several occasions, and over several weeks. Each and every time I am met with deceptive exchange rates and claims. Avoid, and try other cards... you'll find better rates and less deceit. I find this card good for low cost transactions. Had a situation where i needed more than the €300 out and was buggard. Customer services always emails back but not with helpful suggestions, just mandatory responses. Just want people to be mindful of this flaw. Once the money is on the card there is no way of getting it back. Without a large cost of course. My husband has a card and I wasn't able to tansfer onto his card either. Was a bit of shambles really. I won't be using it or recommending anymore. My wife and I both had cards when visiting Thailand. Despite several attempts we were unable to load cash onto them, the app just kept buffering. Thank good we had alternative methods of obtaining cash. Useless. First time I used this card it worked well, now I’ve had to change the card I used to top up funds, this tottally confussed the app ordering me a new Caxton card. Customer services couldn’t see an issue, my issues was I would of been across the pond thinking I had a working card and I didn’t. Easy to pre-load cash, App is much better now, exchange rates reasonable. Always had no problems with this card, took it with me for inter railing in the summer across Europe and not a single problem occurred with it. No charges occurred as long as you always choose local currency to pay for purchases and withdrawals from ATM’s, then I can’t see why anyone would have a problem. Now onto using it for Worldwide countries. Terrible experience. I have used the dollar card in the states and in Canada and had problems with’hold’ amounts in both countries. When buying gas, paying for meals or paying for a hotel room, a ‘hold amount’ was charged and effectively removed significant amounts from my prepaid card, which I wasn’t able to get sorted until after returning home - meaning I had less money available whilst on holiday. Gave up and used my standard credit card - the hold amount was always cleared within 48 hours, no exceptions. Have given up on the Caxton card and will use a standard credit card, despite the higher charges. I used this card for 4 holidays in Europe and 3 out of those 4 holidays I had problems. Don’t bother. I took out a card and used it in Europe, found it very useful but Caxton failed to refund the balance back to my current account, the consequent difficulties in getting them to resolve this issue such that I won't be using them again. I took a Caxton card on a 2 week trip to California and it saved me enough for a dinner or two. The savings add up and it makes me feel more secure. Like that you can top it up via the app too. Had a Caxton card for a few years now and always worked perfectly for me. 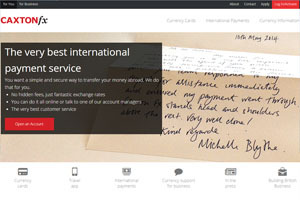 Good value exchange rates, no fees on ATM withdrawals, and good online servicing. Have not loaded card yet but the app is rubbish Phone have to wait 10-12 minutes £5 for cards think I will dump them before I load. I am in the UK. I made the mistake of taking the Caxton Plus Travel Insurance card which was offered when I loaded my currency card. I had to cancel some EasyJet flights shortly afterwards for reasons beyond my control and tried to contact the claims company that handles claims on behalf of Caxton - Broadspire EU - to ask if my loss was claimable before I bothered to make a claim. To talk to anyone about a claim you have to call a number in Belgium, and I didn't fancy running up a large bill hanging on to talk to an agent while listening to music, so I emailed them, twice. So far, 6 days later, no response. I recommend you stay away from this outfit. Caxton FX card is a complete rip off - despite loading € was charged back in £ at a ridiculous rate. Caxton said that it wasn't their problem. Have lost about £80 in 2 weeks, plus 30p ATM fees. Will not be using a Caxton ever again. Complete waste of time. Got a Caxton Visa card and loaded it with Euro's, only to find every time I took money out of an ATM I was charged, and in some cases, the money was converted to sterling then back to Euro's, thus paying again for the conversion when the card was already loaded with Euro's! Also, despite informing restaurants etc that the card was pre-paid with Euro's, sterling was charged and yet again, I had to pay for a conversionfromEuro's to sterling then back to Euro's. App difficult to understand as balances displayed Euro's and negative sterling. Very disappointed. Would not recommend and will be taking a Post Office card next time and more cash. I have used the Caxton card for about three years and bought euros for regular travel in the euro zone and despite an occasional atm issue I though it a good product...until lately when the app no longer is reliable to try and load....and the exchange rate is increasingly poor. Key point is that if the app is failing this could indicate weak IT infrastructure which in turn could indicate vulnerabilities to hacks or a collapse of the platform if they are penny pinching upkeep costs...any fail of IT could take your money with it....and as other reviews point out there is no deposit protection for this card company stay away....looking for new currency card . I have had this card for over 5 years and was pleased with it. It has simply got worse. In terms of cash withdrawals and the apps functionality. I’m now actively looking for an alternative. So if you are simply using as a ‘credit card’ for transactions it’s mainly ok. Although you must remember it doesn’t provide credit card style protection for major purchases etc. Both my partner and I have found whether in Greece, Austria or Sweden (all trips in last 12 months) cash machines end up charging - not for the use of the machine but for conversion even though you have loaded as euros or krona. Something your encouraged to do by Caxton to secure a good rate. It seems that the answer here is to just leave your cash in pounds and take the hit once? Or simply change provider. I do think it’s just the banks trying to earn money from us. As for customer service they don’t really want to help. They are nice and professional in tone but don’t actually see or treat you as a real customer. So very disappointing as this was a good product. All the issues seem to have come since they moved away from Visa and to MasterCard. As I say actively looking for a better option. Sign up with your eyes wide open and restrict use to meals, drinks and lower cost purchase that don’t require purchase protection. Additionally they make a big play about the app. It’s very basic and the transaction log is really really poor and you can’t even read it when it does show up as they will be over typing etc. Currently in Rhodes with my Caxton card which I loaded up with my holiday money, the card works great for purchases but the chances of finding an ATM that will give you cash without first converting your euros back to pounds then giving you euros is next to impossible. I thought I would just stroll up and get my euros hassle free!! Last night 250 euros out of the cash point cost me 288 euros to clear my card today. Biggest mistake ever getting this card. Do not waste your time or money. Caxton FX was founded in 2002 and is a leading provider of prepaid currency cards. Their low fees and good exchange rates make their cards some of the best on the market.